Earlier this year I got to both watch and meet a truly special ukulele player at the Ukulele Festival Of Great Britain in Cheltenham. She captivated the audience during her set, gained a well earned standing ovation and also warmed the hearts of anyone who had a chance to chat with her. 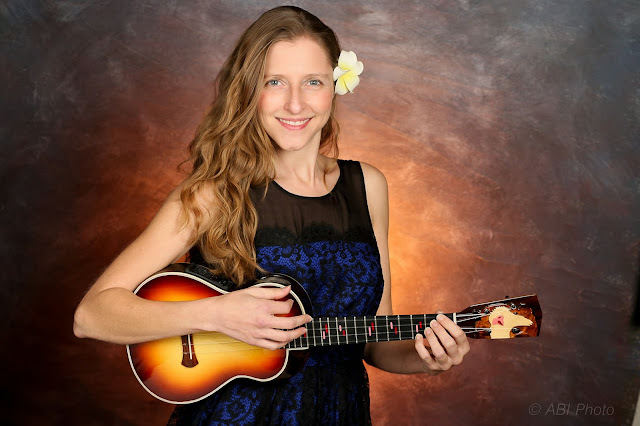 She is in high demand on the ukulele circuit and I am delighted that she has agreed to speak to Got A Ukulele. Say hello to Sarah Maisel! Sarah hails from Birmingham Alabama and has had a love for music from an early age. She actually came to the ukulele quite late on, but that doesn’t show in her playing! She performs effortlessly beautiful jazz themed numbers that create that ‘pin drop’ feeling in the audience and I would highly recommend you try to see her if you can. Hi Sarah, good to speak to you again. You certainly seem very busy at the moment - where abouts are you at the moment? I’m back home in sunny San Diego! 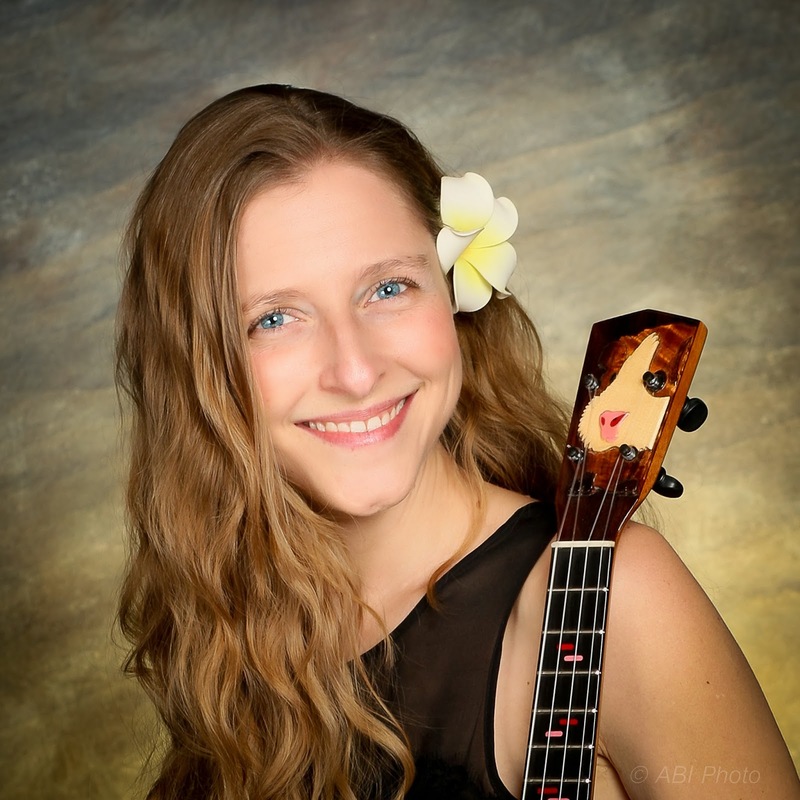 I just returned from doing a ‘Ukulele Retreat’ in Hawaii AND right after that, I headed to Tampa, Florida to perform at the Tampa Bay Ukulele Getaway. It’s been a crazy year full of travel, and it looks like next year is shaping up to be the same. I’m very excited. I see you are back at the UFGB – will be great to see you there again! The Ukulele Festival of Great Britain will always hold a special place - it was my very first International Festival and the reception my music had there blew me away. I actually cried on stage because of the standing ovation I received. I adored the people attending the festival; everyone was so friendly and willing to share. It was truly the “Spirit of Aloha”. It was also one of the most organized festivals I’ve ever been a part of- I GREATLY appreciated that. I’m INCREDIBLY excited to be coming back- I’ve made so many new friends and I can’t wait to jam with them. Take us back to your first musical memories - how did you get into music? Music has always been played in my home, in the car, everywhere. My parents (particularly my father) were really into music, though neither of them played an instrument. My dad likes to tell the story of how, when they brought me home from the hospital (as a newborn) Count Basie was playing in the car. So for me, music has always been in my memories. So, Jazz from an early age then? You have a really effortless style to your jazz playing – clearly a musical favourite of yours? Absolutely. I love Jazz, particularly the standards. I grew up listening to them, so I have many fond memories attached to them. 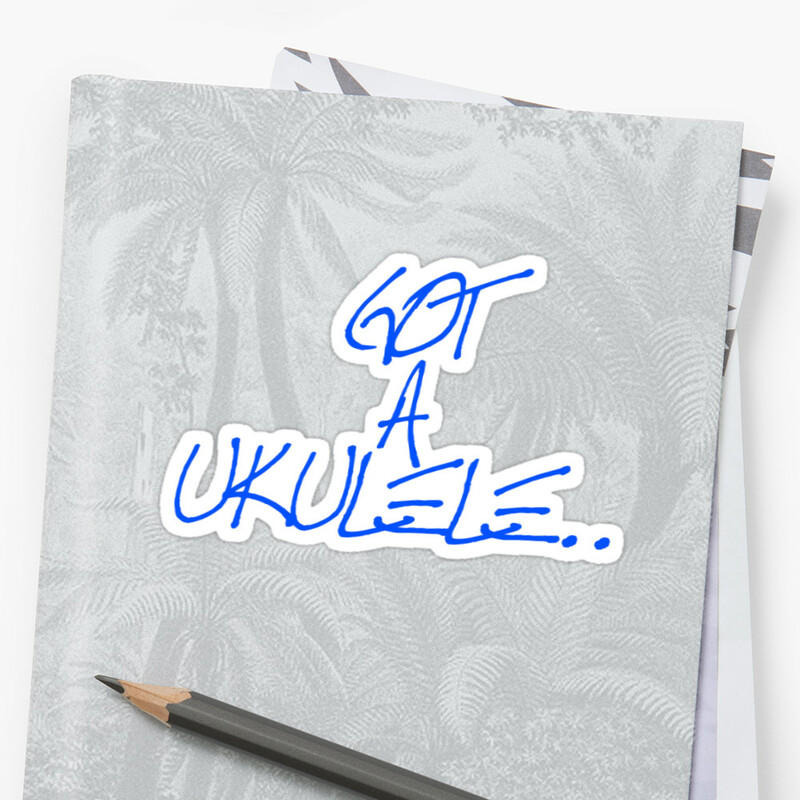 Had you been playing other instruments before the ukulele? Yes, I played Classical Violin from about age 6-17. I also studied piano for a few years during that time as well, but not seriously. The violin was my main instrument. I played in string orchestras for years, as well as taking private lessons. I loved the violin, but at age 17 I quit playing music all together. I didn’t pick up the uke until I was 24. So what was the uke epiphany? The ukulele was not very popular in the state I grew up in (Alabama). After I moved to California, that is when I found the uke. My friend from work was telling me about this pizza place where there were 40 or more ukulele players that would get together and play- PLUS there was Hula dancing as well! To me, this was unbelievable, so we had to go check it out. Once I walked into that place and saw all the happy people, and the amazing spirit of the place, I had to be a part of it. Luckily, the man that ran the ukulele group (Moonlight Beach Ukulele Strummers) was starting to do his very first group ukulele lessons at the local community college. Several of us from work started taking lessons, and the rest is history. And aside from jazz, what other types of music put a smile on your face? I do love Classical music as well, particularly Baroque music. I’m also a huge Mozart fan. BUT of course I love other genres, Rock and Roll, Classic Rock, Folk. Things like The Beatles, Donovan, Crosby Stills and Nash, Eric Clapton, etc. I’m not much into “modern” music, but there are some artists I like- such as Jason Mraz and Corrine Bailey Rae. I think the ukulele suits most styles of music, but I do come across those who prefer players to stick to certain styles – what are your thoughts on that? I think you should play whatever style you want. 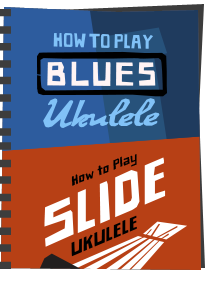 There are no RULES for the ukulele- if you want to play rock and roll, or classical, or even disco, by all means, play it! I can understand some folks wanting to only hear Hawaiian music from the ukulele, but I feel that is closed minded. There are so many possibilities available to the instrument and it is incredibly versatile. There is no reason to pigeon hole it to one genre. Couldn't agree more Sarah! 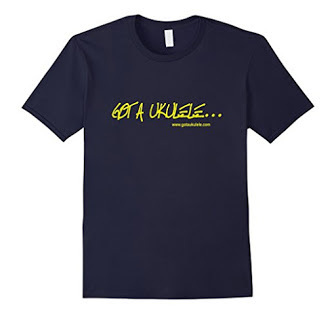 We are also well and truly in a worldwide ukulele 'boom'. What is your take on that and where do you think we are headed? I have no idea where the ‘boom’ is headed- all I know is that I hope it lasts for a long time. The uke is such a happy instrument and brings such joy to so many folks. I think the world needs more joy, so the longer the uke stays in the spotlight, the better. I know it will always hold a special place in my heart. I do hope that with this resurgence of ukulele, that we will start to see more serious players. 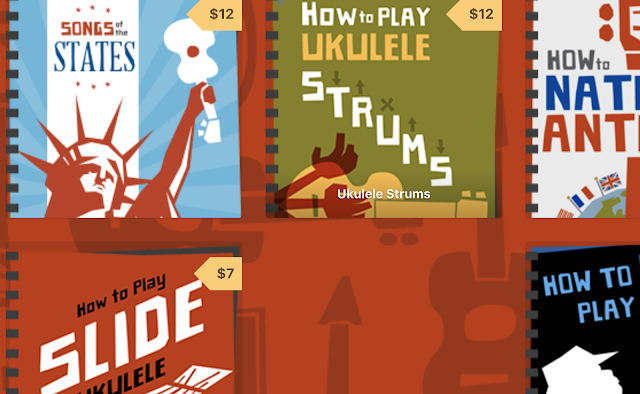 The uke has been seen as a toy for so many years, and I am so happy to see that notion being dispelled. Yes it is a great instrument for someone who has never played, but it is a TRUE instrument that can play any genre of music. I’d like for others to see how versatile the instrument is. You have played with some big names and at some great events - where do you like playing best? This is such a hard question- I love many of the places and for very different reasons. I currently have two favorite festivals- The Ukulele Festival of Great Britain and the Tampa Bay Ukulele Getaway. As I said earlier the Ukulele Festival of Great Britain, being my first will always hold a very special place for me. The Tampa Bay Ukulele Getaway was amazing. It is limited to 150 folks, so those that get tickets REALLY want to be there. That festival sold out in 5 days. For that one, at the end of the event, everyone feels like family. You really do get to know EVERYONE, and again, everyone is incredibly supportive and willing to share. The other thing that this festival did, that I’ve never had at any other, was they made the workshops available to EVERYONE- meaning that they had you teach the same workshop twice so that folks could be sure to take your class and not miss any teacher. I thought this was brilliant. They also had all of the teacher notes in a pre-made booklet that everyone got at registration- also brilliant! 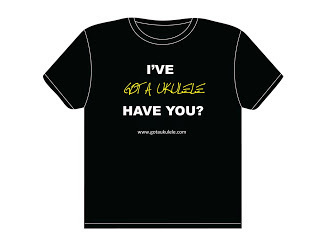 What do you think makes a good ukulele event? The first and foremost are the folks that attend the festival. They are truly what make the festival great. Without them, the fests wouldn’t happen. I love visiting and getting to know them- the great thing about the uke world is that I haven’t met a jerk yet that plays the ukulele. Ukuleles tend to attract nice HAPPY people. Organization is another attribute that I think is very important to a festival. You may have the best line up in the world, but if you don’t have your festival together, it will be a flop. There was one festival that I was a part of that had two AMAZING headliners- and SO many seats were empty because the festival wasn’t organized in getting their fest advertised, or in getting tickets to people on time. It was truly a shame. Of course your artists are important. The Festivals that do the best will have not only folks that are great performers, but great teachers as well. The uke is an instrument that is based on sharing; if you have good teachers, people will always remember that more so than the performance. I was lucky enough to have a play of your Mike DaSilva ukulele when we met at your last event on this side of the pond. Tell us about that and your other instruments. I have a 5 string ukulele made by David Iriguchi (the Happy Ukulele). His ukes are unique and have a sweet tone. He also names his instruments, and mine is named “Banshee”, after my guinea pig. 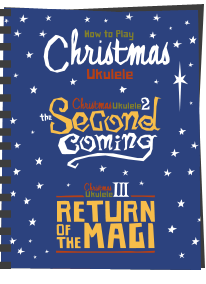 The uke has two G strings, a high and a low. It’s a lot of fun to play. I also have a Rick Turner, Compass Rose. I LOVE this ukulele. It is his “Le Jazz” model. I feel very fortunate to have such an amazing instrument. It has fantastic tone, and it’s pretty to boot! I remember when Rick gave it to me he said, “This will be the best sounding amplified instrument you’ve got”, and you know what- he is right. My DaSilva is my pride and joy. This is my main performance uke and is very special to me. Mike DaSilva and I are good friends and I enjoy his instruments immensely. I still have my very first ukulele- it’s a Flea. I take it to the beach and anywhere that I don’t want to worry about my uke getting hurt. I have dropped it SO many times and it has survived very well. My Pono is one of the rare ones they made out of Koa. They only made a few of them and I lucked out. It was my first “professional” uke. I still enjoy playing it and use it to teach my high G students. ALSO, I’m so excited! In the works I have a Moore Bettah Ukulele, by Chuck Moore. I met him this past October in Hawaii and I loved him as a person. Then I played a few of his ukes and I thought “Wow! No wonder folks love his instruments.” I am on “the list”, so who knows when I’ll get it, but I’m super excited to have made it onto “the list”. I know it will be a beautiful instrument. Tell me what the future holds - any plans in the pipeline? I have lots of plans! I have quit my day job and am now a full time musician. It is a very exciting endeavor and I’m extremely happy with my choice thus far. This coming year I will be performing in England, as well as several festivals in the states. I am hoping to pick up some work in Asia, but we shall see. One specific event I’m looking forward to is a Ukulele Cruise to Alaska! Craig Chee and I will be doing a mini ukulele festival on Princess Cruise Lines up to Alaska in July. It should be a ton of fun. I am also doing a lot of teaching- via Skype as well as in person. I absolutely love teaching, so I feel incredibly lucky that I’m getting to pursue that avenue. Cool! I know full well that my readers will want to know how about getting lessons with you – how are they best to get in touch? The best way to get in touch with me is through the contact button on my website. Send me a note and we can discuss times, etc. I do Skype lessons a lot. It actually has turned out to be a great way to teach. I was VERY skeptical of teaching that way at first, but after having enough people ask, I gave in. I have students from around the globe now, it’s quite exciting. Also, while I’m in Cheltenham, if I have free time, I’m always happy to teach in person as well. It all depends on my schedule. It is always fun to meet folks in person that I’ve taught through Skype. And finally, I ask this of everyone I interview - what are your best tips for new players? Have fun. Yes technical stuff is important, but you won’t practice that stuff unless you are having fun. Also- make sure to play with other people as much as possible. You will become a better player the more people you play with. 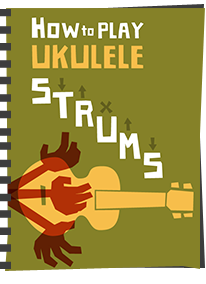 There are so many Ukulele Clubs around that if you can get to one weekly, you’ll be amazed at how much better you get within a months time. Lastly, never leave your uke in its case. I leave mine out and about so that I see it and pick it up whenever the muse hits me. You will forget about your dear ukulele if you leave it forever put away. Wise words Sarah - thank you so much for your time and see you again soon! 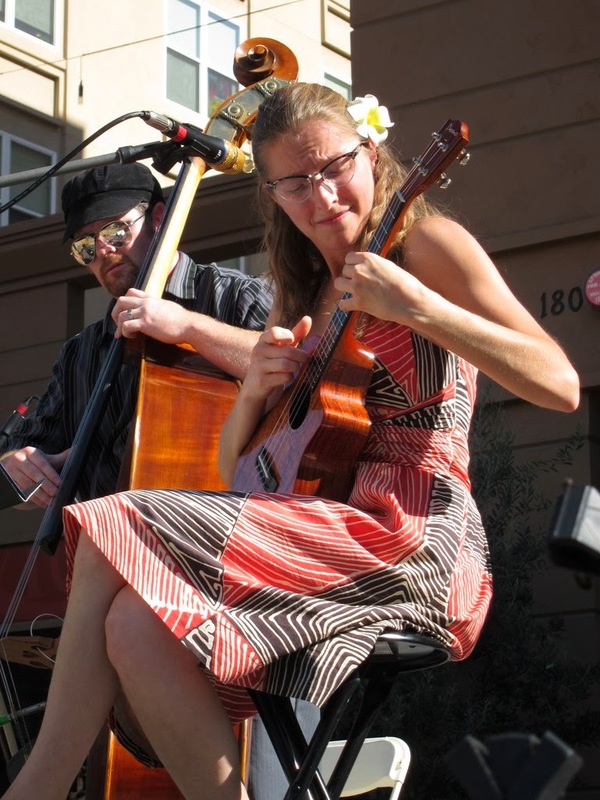 Sarah was at our Utah Uke Fest a couple of years ago and everyone ADORED her. Thanks for this insightful interview.